A fire. A power outage. A flood. What will it be this year? You certainly can’t predict the future, but you can prepare for it. If something happens to your home, are you and your family prepared? Let 2019 be the year you take home emergency planning seriously. 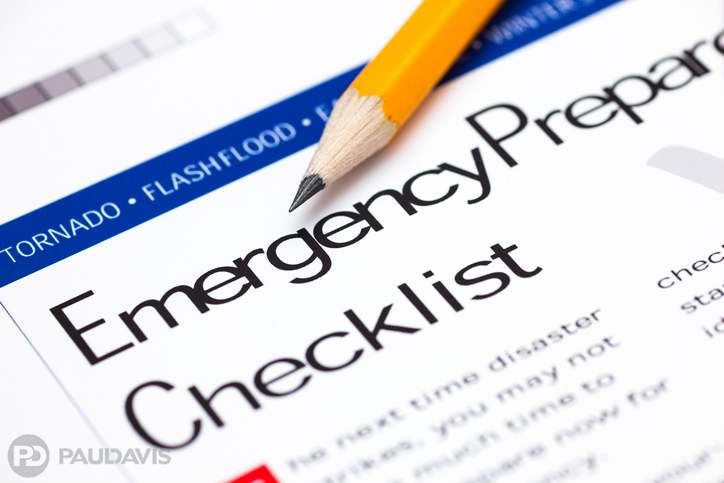 To get started, follow these emergency tips and our Paul Davis plan to make sure you have everything in place should an emergency occur. Inside: Where do you go in your home if there is a tornado or other event outside? Neighborhood: If you have to leave your home, for a fire for instance, where do you meet nearby? Outside your neighborhood: If an emergency happens while no one is at home, where do you meet? Discuss with children what is considered an emergency and how they can use a phone to call emergency services. Secure important documents in a safe place. Create a sheet that has emergency numbers, contact information, medical facility/doctor, and school information if applicable. Store extra batteries, flashlights, bottled water, and perishable food items in case you lose power and are unable to get more supplies. Ensure that smoke detectors are installed throughout your home. Test your detectors once a month and replace batteries at least once a year. Stow a fire extinguisher in the home and know how to use it. Because most fires start in the kitchen, practice cooking safety to minimize your risk of fire. Have an escape route for your family to follow on best routes to evacuate the home. If you have children, practice regularly and draw a picture that showcases the route they will follow. If your home has a second story, keep a portable escape ladder on this level to assist people evacuating from the second floor. This can prevent injury from jumping or falling. Assign responsibilities for adults, with each doing assigned tasks such as making sure pets and children are evacuated. Older children can be responsible for calling 911. Post a sheet with important contact information and documents like insurance forms and identification that must be provided in the event of an emergency. Taking the time to prepare for the worst is one major step toward proteching your home and family. Should an emergency hit, the experts at Paul Davis are here to help. When it comes to your home, this is no time for second best.